After you share a roadmap with other users by adding them as Editors or Viewers, you can change the roadmap's sharing settings at any time. You can change an Editor to a Viewer and vice versa. And you can remove a user to to stop sharing the roadmap with them entirely. You change a roadmap's sharing setting using the Sharing Settings dialog. You can open the dialog from your Roadmap Home or directly from the roadmap. 2. In the My Roadmaps panel, select the roadmap whose settings you want to change. 3. 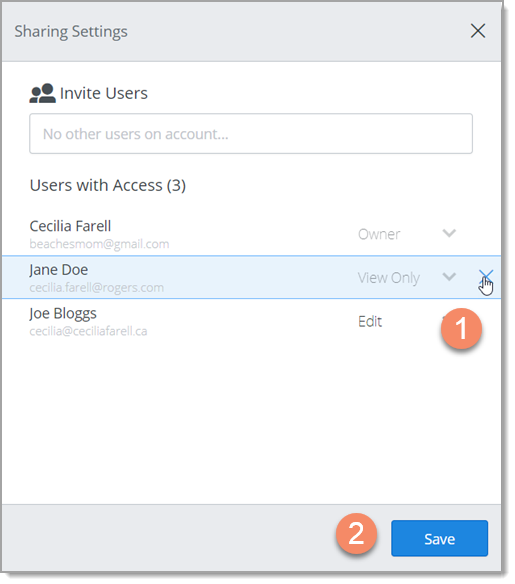 On the Roadmaps toolbar, click the Share icon to open the Sharing Settings dialog. 1. 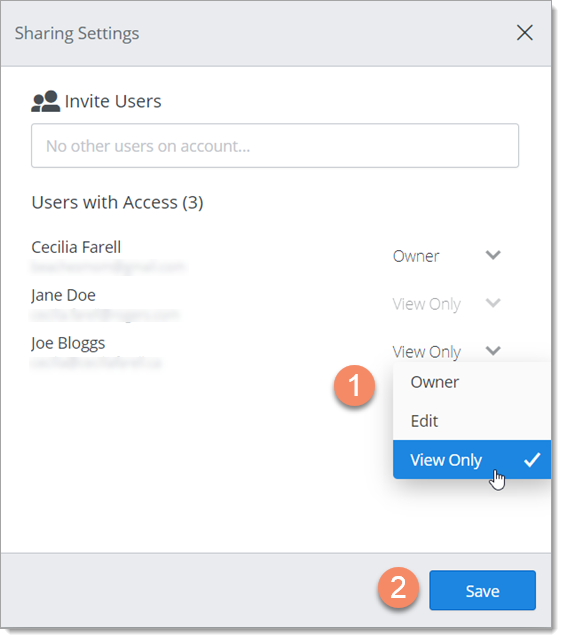 On the dialog's User with Access list, open the user's Permissions dropdown and select a different permission. NOTE: To change a user to the roadmap's Owner, see Transfer Ownership of a Roadmap. 1. Mouse over the user's Permissions dropdown until you see the X, then click it. Who can change a roadmap's sharing settings? You must have edit access to change a roadmap's sharing settings.